The most trusted name in law school outlines, Emanuel® Law Outlines support your class preparation, provide reference for your outline creation, and supply a comprehensive breakdown of topic matter for your entire study process. 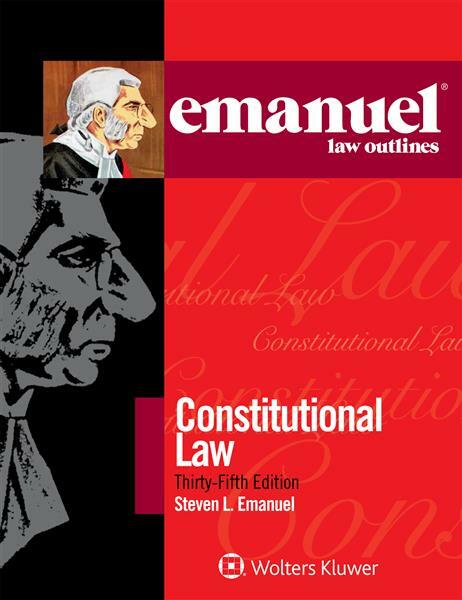 Ever since Steve Emanuel wrote the first version while a law school student at Harvard, Emanuel® Law Outlines have been relied on by generations of law students. Each title includes both capsule and detailed outline-format explanations and discussions of the critical issues, key topics, and cases you must know to master the course. Also included are exam questions with model answers, an alphabetical list of cases, and a table correlating the Emanuel® Law Outline to the leading casebooks.